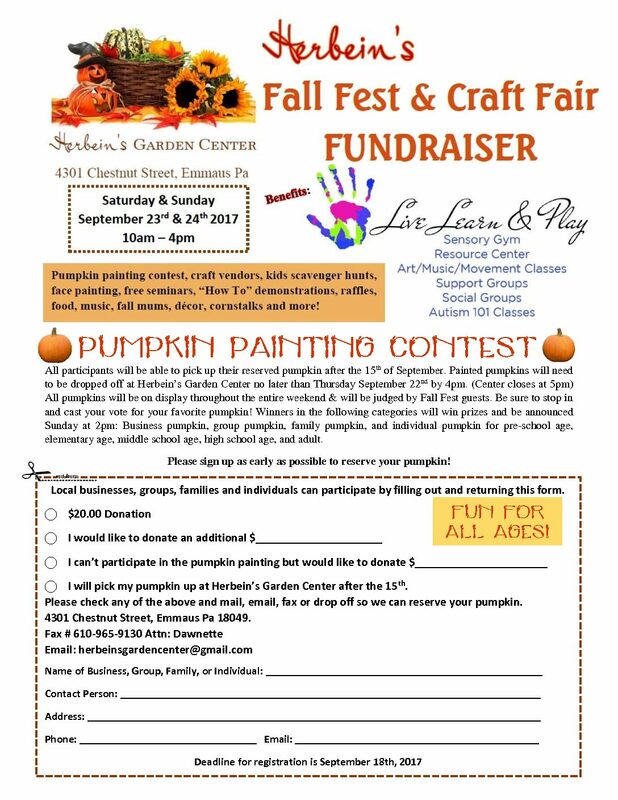 Please print this form and return to Herbein’s Garden Center with your donation registration to reserve your pumpkin! 100% of the proceeds will go to Live Learn & Play. Good Luck!